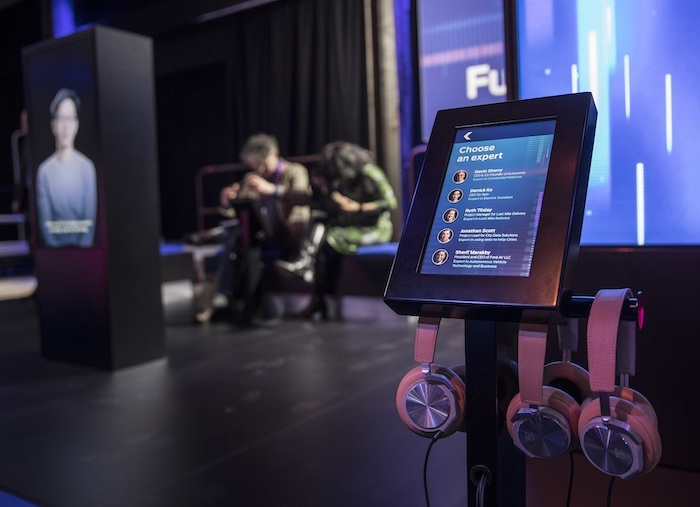 Global experience agency Imagination and Ford Motor Company this week unveiled the latest of its flagship “Go Further” events – the fourth of its kind – which will see over 2,500 attendees visit Sugar City, Amsterdam over the course of ten days. Delegates include members of the European media as well as dealers, fleet guests and consumers. Attendees at this year’s event will hear directly from the Ford of Europe executive leadership team about its future plans to electrify its entire product range. They’ll also be privy to details of all-new products and technologies – including a reveal of the new Explorer Plug-In Hybrid and the all-new Kuga – and learn about mobility solutions of the future. This year marks the first time the event will open to the public, over the weekend of 6th-7th April, and also the first time Go Further has been run over multiple days to enable guests to take part in the experience in smaller groups. On arrival at Sugar City, visitors’ experience will begin in a central auditorium, where a vast LED theatre will showcase video content of new products and services, including several dynamic vehicle reveals. Guests will then be split into four groups who rotate around immersive deep-dive zones. Future of Movement welcomes guests to watch a thought-provoking film depicting Ford’s vision of the future in a planetarium-style immersive theatre. This film explores how Ford are addressing mobility issues of today and tomorrow, supplemented by multiple ‘meet the experts’ stations and showcase Ford’s various mobility initiatives. SUV Strength zone offers attendees the chance to meet the new electrified heroes of Ford’s product range as part of its growing SUV line-up and a 360 ‘virtual’ KUGA experience. Electrification by Ford immersive zone overlays a CGI representation of each model of electric vehicle enabling the presenter to literally ‘walk-through’ the CGI, explaining various components and how they work together in different driving modes to help de-mystify the electrification story. Closing remarks in the auditorium are then followed by a dinner, and an opportunity to see upcoming products up close, including the two new vehicles. Imagination has worked with Ford on the “Go Further” event since 2012 developing the experience in line with Ford’s future strategies. The event runs from 2nd – 11th April.